At KW Farms we know the importance of working together as a COMMUNITY to produce high quality food, boost our local food economy, enrich the soil and ecology of our land, and feed the bodies and spirits of our fellow humans. We could not do this work without our many partners. Pork- Mitch Buhr and Jocelyn Buhr of Bountiful Ventures (bountifulventure.com) Bountiful Ventures is a 40 acre farm located in Bountiful, Colorado just south of La Jara., CO. Our swine are ABA Registered Berkshire. 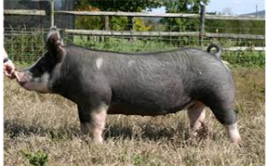 They are raised in a indoor/outdoor living area with humane conditions and space, never using farrowing crates. 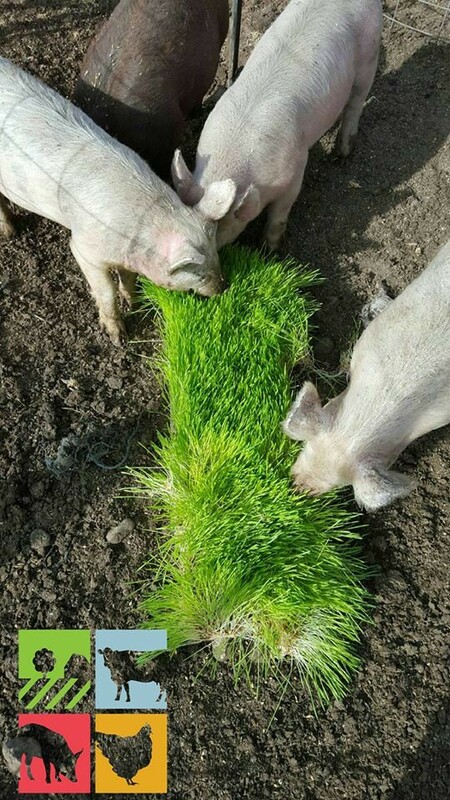 We sprout fodder feed and/or feed sprouts here on the farm, which produces a healthy, fresh, living diet for all of our critters. As a small farm this allows us to offer our livestock the benefits and quality of a natural diet while not having a large area to graze. We also grow alfalfa/grass hay and barley here on the farm. Our livestock feed is produced with special care and attention as we are especially interested in the health quality. Idiet as mentioned above. Our meat animals are never given antibiotics, GMO feeds, or growth hormones. Lamb- Elena Miller-Turkeuille-We at Cactus Hill Farm our proud to say we are a 6th generation farm! We believe that we are stewards of this land, not owners, here to regenerate the natural environment and enhance the soils for the next generation. All of our crops and hay are certified organic. We strive to give our animals the best life possible. They are 100% pasture-raised and we use ethical management techniques. We appreciate their life on our farm and give thanks for the integral part they play in our business and farming system through their meat, fiber and soil regeneration.